This song's so amazing. Much better than any of the current stuff Jay Sean's doing! 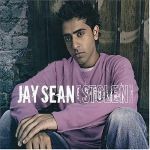 One of the early Jay Sean songs before he went international. This track was really good and memorable, hearing it after so many years it's still good. UK#4.